It is known that the number of divorces is growing all over the world. Marriage is becoming an increasingly unstable institution. Only in Islamic countries does the family remain almost as indestructible as hundreds of years ago. 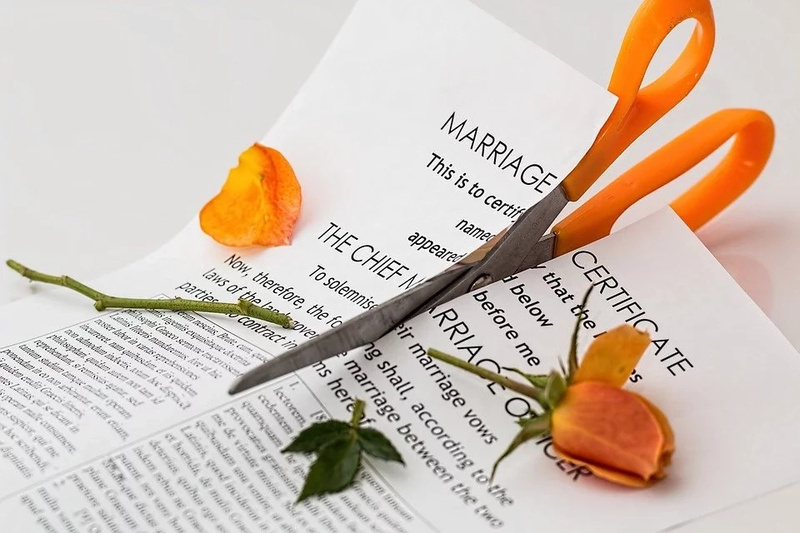 Most of the interviewed couples admitted that behind the formal phrase "insurmountable differences" in their divorce were other, more specific problems. What are they? What usually make people give up their love? 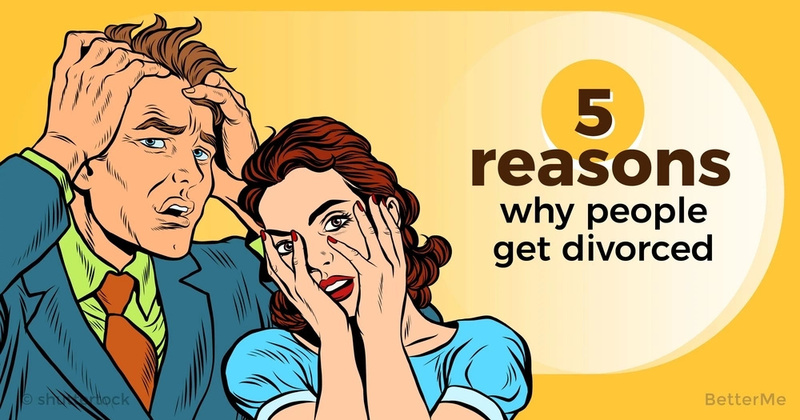 We have prepared top 5 reasons why people get divorced. Hopefully, you and your beloved one won’t have any of these reasons to fall apart and you will live long and happy romantic life. But, check them out anyways. #1 Fatigue and physical exhaustion. The mistake of many couples is that they want to have time all at once. Educate a child, study at a university, work on two jobs, repair an apartment. With such a rhythm of life, time for caresses and attention to each other simply does not remain. Family happiness becomes compromised when the wife is engaged in the upbringing of the child, and the husband is entirely engaged in career. #2 A hole in the family budget. Inability of the family to plan the budget, different views on the formation of the budget and the expenditure of funds for various needs. More often, if one of the spouses from the family, which is accepted to "save and save," and the parents of the second lived "one day." In this case, it makes sense at once to specify how much the couple will try to save, and generally, whether they will try to save. #3 Selfishness and infantilism. In nature there are two types of people: takers and givers. The ideal option for creating a happy family - both givers, the marriage between the giver and the taker is based on netting ("I cooked you soup for dinner, and you gave me what?" ...), the marriage between the two takers is doomed to divorce. Selfishness and family are not compatible. #4 Infantility manifests itself in a relationship as an unwillingness to listen and hear a partner, inability to compromise and forgive. Quarrels are based on the desire to show their superiority: "hit the hardest" partner in the weakest place. #5 Boredom in bed. According to statistics, sexual incompatibility is the cause of divorce in 40% of cases. In the opinion of psychologists, the purely physiological incompatibility of partners is extremely rare. 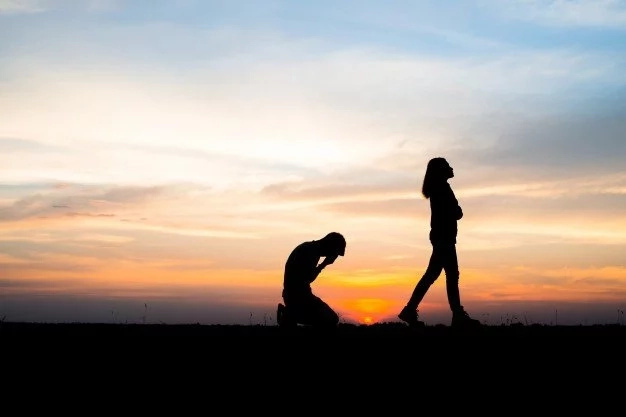 Much more often the cause of failures in bed is the inconsistency of the partners' temperaments, emotional coldness, inattention to each other. Lack of love. It happens in case of early marriages. When you are young and wild, you could have taken for love. It only proves that you need to give your love time to prove.